Catch up on any past speaker presentations you may have missed! Civilization depends on energy yet the very energy systems that make modern civilization possible are also hurting the planet. Hence sustainable energy is essential for modern civilization. This presentation explored engineering at the University of St Thomas (UST), some of the energy outreach, and what is being done at UST to help secure a sustainable energy future. Member meeting - State of MRES presentation by Board chair, Mark Weber. Ellen Anderson discussed the important role of energy storage in our transition to a clean energy economy, how the role of energy storage is evolving, and the barriers and opportunities it faces. She gave an update on energy storage projects in Minnesota, and what's next in our energy transition. Thank you to Rich Solomon for recording and producing the monthly speaker videos! Dan Thiede of Clean Energy Resource Teams (CERTs) speaks to MRES about the current stae of solar energy in Minnesota, and where things are headed. Sam Hanson of Environmental Initiatives describes the group's history of shared success across traditional stakeholder boundaries. Key to their collaborative approach is the ideal of a circular economy, discussed later in the presentation. MnSEIA policy director David Shaffer talks about solar energy and job growth in Minnesota, and how policy and market forces intersect to boost our economy. Danial Enderton of A Sharp Solar explains how his company website simplifies community solar for customers. Nina Axelson of Ever-Green Energy describes how St. Paul's successful District Energy model is helping other projects and communities save on energy costs and be more self-reliant. Mayor Peter Lindstrom of Falcon Heights, MN describes how sustainable practices such as solar energy and recycling enhance the quality of life and help the environment for citizens and cities. Mark Rathbun of Great River Energy talks about achieving LEED Platinum status with GRE's Maple Grove headquarters, and about present steps and future plans to integrate renewables into the energy mix. Dan Handeen discusses a Deep Winter Greenhouse prototype being developed at the University of Minnesota. From the history to the "how-to", Handeen's informative presentation covers winter greenhouses in operation and in development around the midwest and around the world. Jason Willett lays out the benefits of renewable energy to local governments and describes how the Council's own projects have improved environmental outcomes and saved money for Twin Cities Metro Area taxpayers. 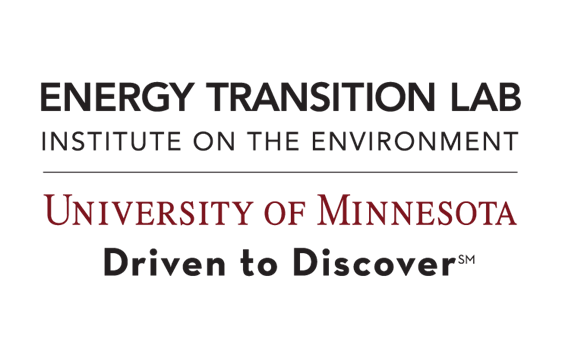 Ellen Anderson and Megan Butler of the University of MN Energy Transition Labs discuss the present state of energy storage, in terms of technologies, policies, and energy markets. J. Drake Hamilton of FreshEnergy discusses the groundbreaking results of the Paris Climate Accord and how we're making real progress on climate change around the world and here in Minnesota. Alan Wernke of Innovative Power Systems discusses the state of Solar Energy in Minnesota.